When I was little I loved The Wizard of Oz film so much that I use to watch it on repeat! I always wanted my very own pair of ruby red slippers as well so I could be just like Dorothy. I spent hours dancing and singing around my bedroom with my hair in plaits and attempting to get my dog to sit in a basket just like Toto (that never seems to work very well). When I saw that Lush were releasing the Ruby Red slippers bubble bar this Christmas I new it would be a firm favourite of mine and as soon as I got my hands on one of these sparkly bubble bars it instantly won top spot as my all time favourite bubble bar. 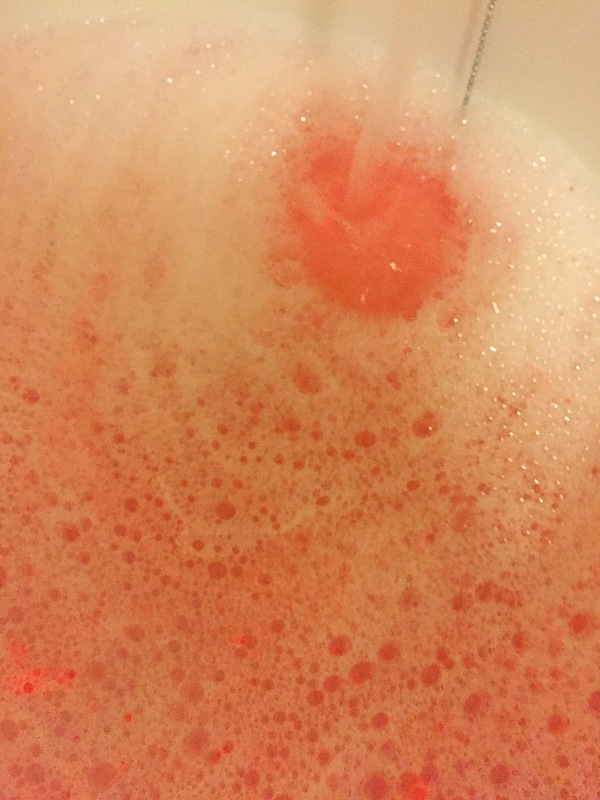 This bubble bar to no surprise looks like a little tiny ruby slipper! 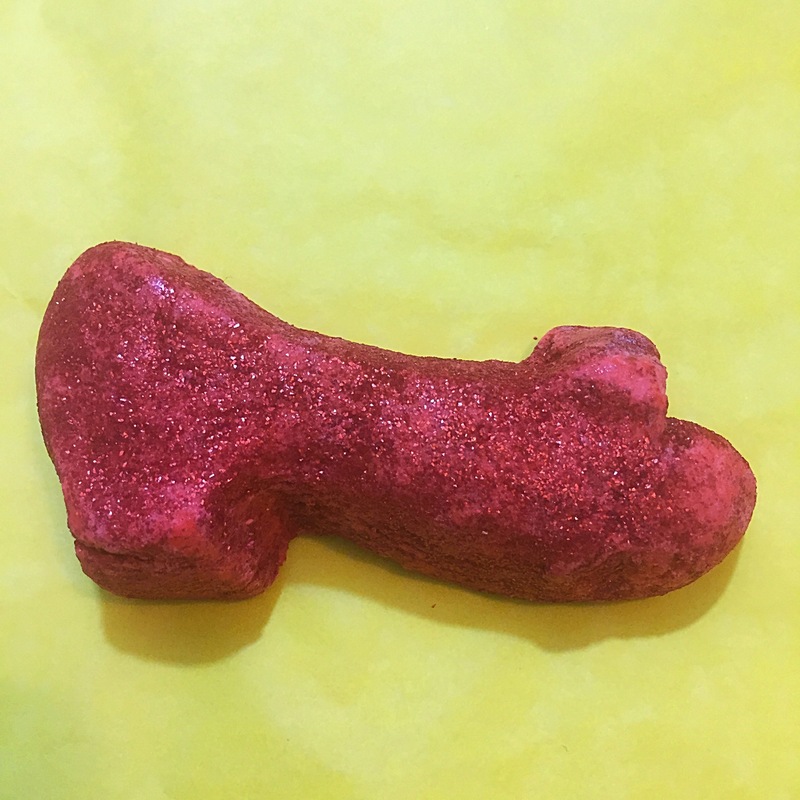 A beautiful deep ruby red and covered in a good helping of glitter this bubble bar wouldn’t look wrong hung on a Christmas tree. 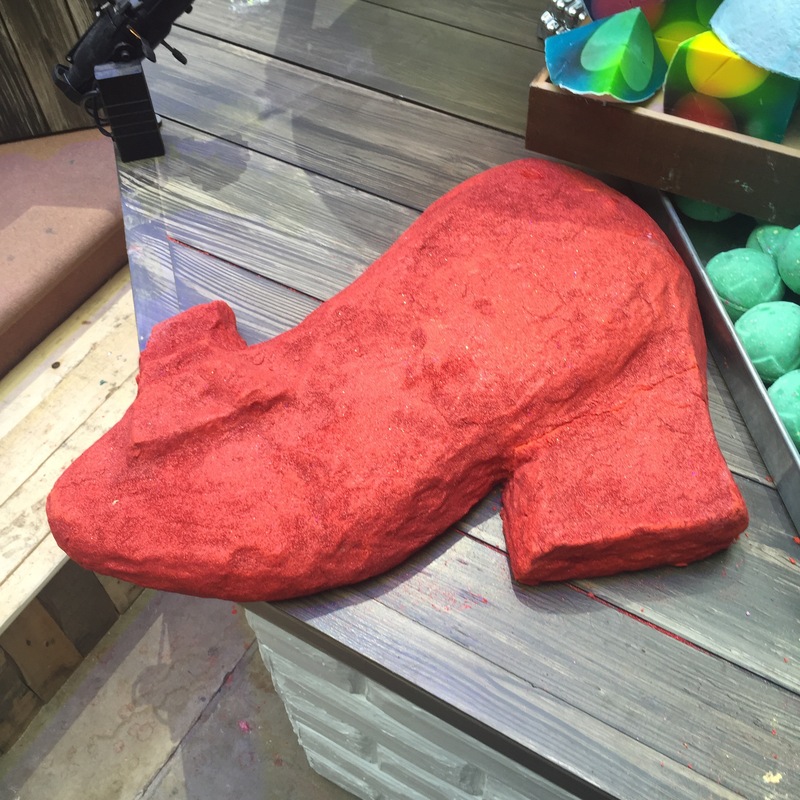 This Ruby Red Slippers bubble bar originally made its appearance back in 2005 but has had a little bit of a redesign for this year. Containing rose and carnation absolute the scent of this bubble bar is described as a spicy floral scent. I personally found the bubble bar had a very subtle floral scent and i found it to be a lot more spicy and typically Christmas smelling. The scent is a very sophisticated floral scent and defiantly not your average floral aroma, which I would put down to the inclusion of the carnation absolute. The scent of this bubble bar is the same as the old Potion body lotion if you have ever tried that before. 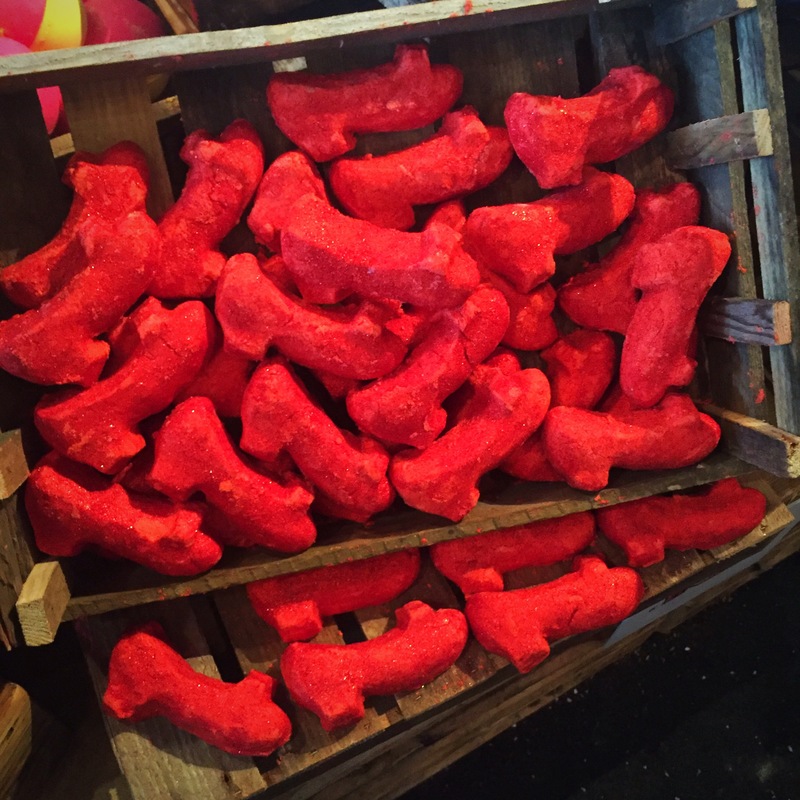 The Ruby Red Slippers bubble bar is a lovely size and you would easily get two luxurious baths out of one bar. Once crumbled under running water it instantly creates mountains of white fluffy bubble. The water also turned a lovely ruby red colour with a slight hint of glitter which added a beautiful shimmer to the water. I didn’t find this bubble bar to be particularly moisturising but the scent of this product really elevated with the heat of the water and I found that it lingered in the room and on my skin for quite some time. 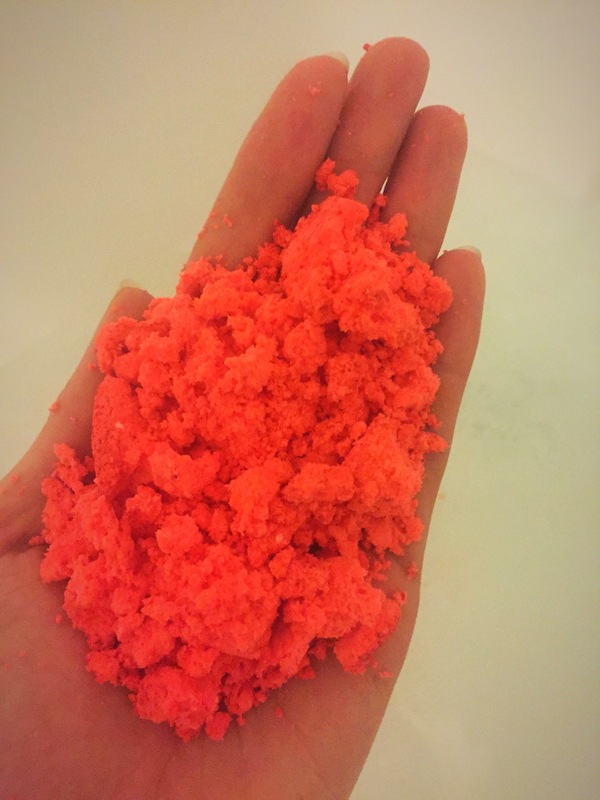 Whilst I was at the lush Coventry bloggers event I had the chance to make my very own Ruby Red Slippers bubble bar! So make sure you keep you eyes peeled for my post all about my exsprience of attempting (and I mean attempting) to make my own bubble bar. i adore ruby red slippers so much! Its the most christmassy thing apart from the magic of christmas wand!